Global air freight has experienced its fastest growth since February 2015, when US West Coast port strikes caused a spike in air cargo demand. The International Air Transport Association (IATA) released data for global air freight markets in September 2016 showing that demand, measured in freight tonne kilometers (FTKs), rose 6.1 per cent year-on-year. Freight capacity, measured in available freight tonne kilometers (AFTKs), increased 4.7 per cent over the same period. Load factors remained historically low, keeping yields under pressure. September’s positive performance coincided with an apparent turnaround in new export orders in recent months, the IATA said. Some unique factors also may have contributed, such as the rush replacement of Samsung Galaxy Note 7 devices during the month, as well as the early impacts of the collapse of the Hanjin marine shipping line at the end of August. 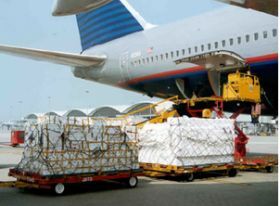 "Demand for air cargo strengthened in September," said Alexandre de Juniac, IATA’s director general and CEO. "Although with growth in world trade virtually at a standstill, the air cargo sector still faces some major hurdles. "We did have some encouraging news," he added. "The conclusion of the EU-Canada Free Trade Agreement is good news for the economies involved and for air cargo. Growth is the way to overcome the world’s current economic challenges. The EU-Canada agreement is a welcome respite from the current protectionist rhetoric and positive results should soon be evident. Governments everywhere should take note and move in the same direction." Airlines in all regions except Latin America reported an increase in year-on-year demand in September. However results continued to vary considerably. Asia-Pacific airlines saw freight volumes increase by 5.5 per cent in September 2016 compared to the same period last year. Capacity in the region expanded 3.4 per cent.The positive Asia-Pacific performance corresponds with signs of an increase in export orders in China and Japan over the last few months. Seasonally-adjusted freight results for Asia-Pacific carriers are now trending upwards. European airlines experienced a 12.6 per cent increase in freight volumes in September 2016. Capacity increased 6.4 per cent. The strong European performance corresponds with an increase in reported new export orders in Germany over the last few months. North American carriers saw freight volumes expand 4.5 per cent in September 2016 year-on-year, as capacity increased 2.6 per cent. International freight volumes grew by 6.2 per cent – their fastest pace since the US seaports disruption boosted demand in February 2015. However, in seasonally-adjusted terms volumes are still just below the level seen in January 2015. The strength of the US dollar continues to keep the US export market under pressure. Middle Eastern carriers saw demand growth slow for the third consecutive month to 1.2 per cdnt year-on-year in September 2016 - the slowest pace since July 2009. Capacity increased by 6.2 per cent. Seasonally-adjusted freight growth, which had been trending upwards until the past year or so year, has now halted. This turnaround in performance is partly due to weaker conditions in the Middle East-to-Asia and Middle East-to-North America markets. Latin American airlines reported a decline in demand of 4.5 per cent and a drop in capacity of 4.7 per cent in September 2016, compared to the same period in 2015. The ‘within South America’ market has been the weakest performing market so far this year with volumes contracting 14 per cent year-on-year in August, the most recent month for which route specific data are available. The comparative strength of the US economy has helped boost volumes between North and South America with US imports by air from Colombia and Brazil increasing by 5 per cent and 13 per cent year-on-year respectively. African carriers saw freight demand increase by 12.7 per cent in September 2016 compared to the same month last year – the fastest rate in nearly two years. Capacity surged year-on-year by 34 per cent on the back of long-haul expansion in particular by Ethiopian Airlines and North African carriers.